Have you been dealing with a leaky roof? Are you tired of finding creative ways that only temporarily solve the problem and are ready to have it looked at by a professional? Let the professionals at Deegan Brothers Roofing help. 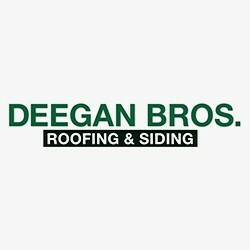 We are expert roofer that work with virtually any roof our customers may have including asphalt, wood, and tile shingles as well as metal roofs. We can handle any roofing repairs or replacement, delivering the best service in the Phillipsburg, New Jersey area. Most of our contractors have been with us for over ten years, and work to exceed customer expectations for any job that is done. In addition to our fantastic roofing services, we can also assist customers with siding and gutters for a complete solution to all your exterior home needs.